New Suzuki Vitara – Versatile & Vivacious. Many modern SUV buyers want the rugged looks and raised driving position of a 4x4, combined with the running costs of a conventional hatchback. 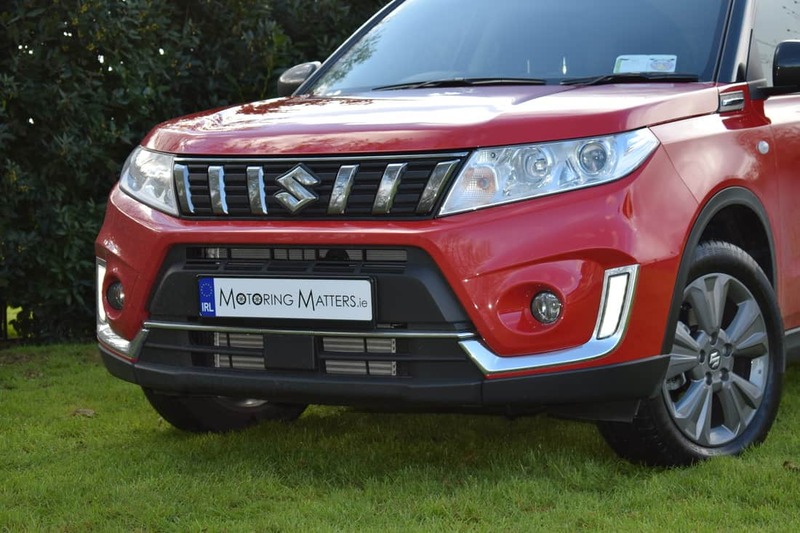 The new Suzuki Vitara SUV is certainly a car that fulfils that criteria very well, and comes to the market with a starting price of just €20.995 (ex-delivery). 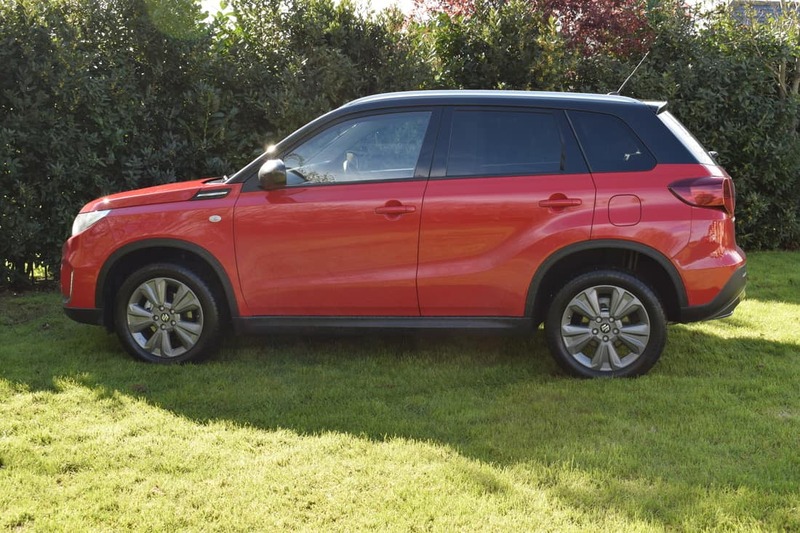 Ever since its launch in 1988, the various generations of the Suzuki Vitara have earned high acclaim for their stylish designs, compact and easy to manage dimensions, good on-road performance and genuine off-road ability. Over the years, the Vitara has evolved through changes in body size, engine technology, safety systems and chassis development. 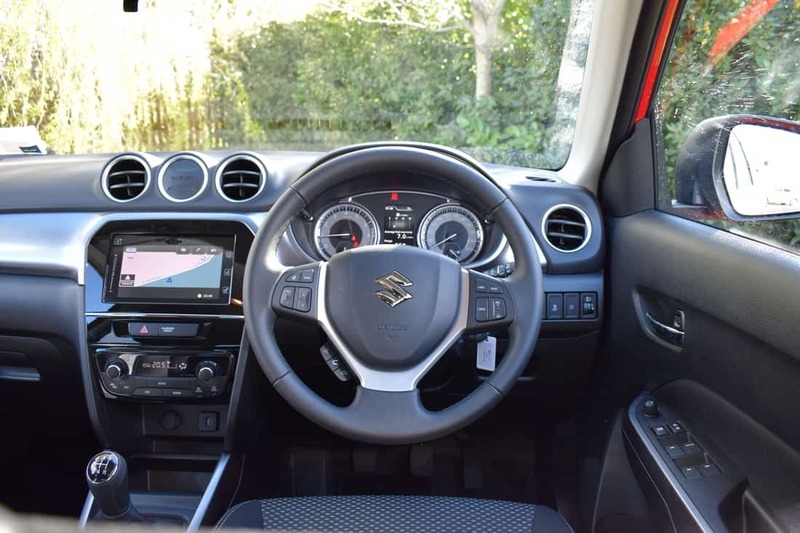 The new Suzuki Vitara is available in petrol engine guise only, but transmission choices consist of a five-speed manual, six-speed manual and a six-speed automatic – depending on the model chosen. There are two petrol (Boosterjet) engine options – a 1.0-litre, and a 1.4-litre, with annual road tax costing €270, and €280 respectively. Thanks to Suzuki’s new Boosterjet technology, both engines offer low emissions and greatly enhanced fuel economy. The 1.0-litre petrol engine comes with 110bhp and 160Nm of torque, making this car so much fun to drive. This eager engine goes hand-in-hand with a chassis that is equally enjoyable. Body control is excellent and engine responses are fluid and natural, giving the new Vitara a sporty and dynamic character. The 1.4-litre engine comes with 139bhp and 220Nm of torque – figures which represent a 17% increase over the 1.6-litre engine it replaced back in 2015. Available in up to 11 different colours (single-tone and two-tone paint) the new Vitara stands 1.61M tall, 4.175M long and 1.775M wide, and will fit comfortably into any car parking space, while turning heads with its stylish good looks. Thanks to these well thought-out proportions, the new Vitara looks great from every angle and offers excellent head and leg room inside too. 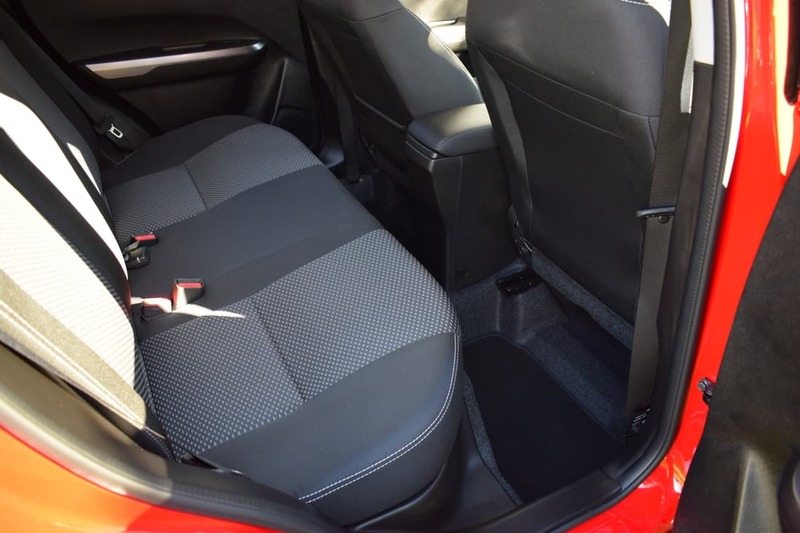 The quality of the materials used in the cabin is impressive, while the infotainment system in my test car provided satellite navigation, Bluetooth, radio functions and images from the standard reverse camera all on one centrally located touch screen. 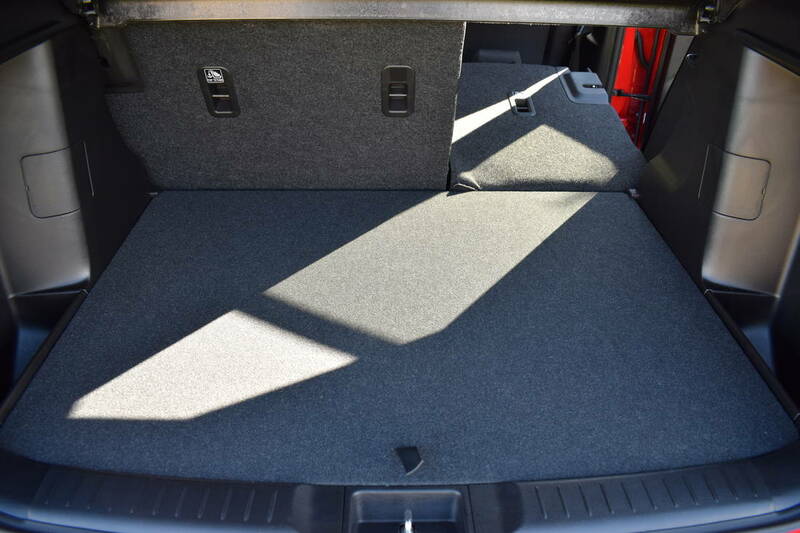 With the rear seats in place, the boot in the new Suzuki Vitara has a capacity of 375-litres, but this can be enhanced greatly by dropping the standard 60:40 split-folding rear seat backs. 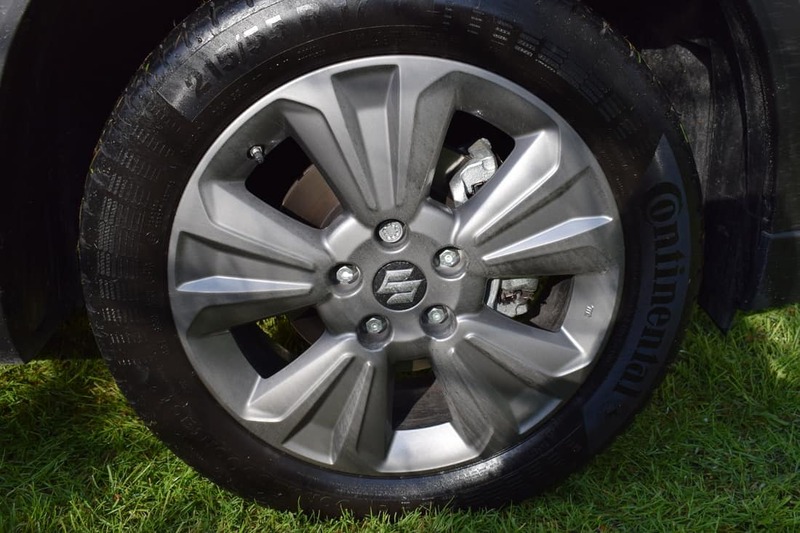 There are three trim levels available in the new Suzuki Vitara – SZ4, SZ-T, and SZ5, with even the entry-level SZ4 model equipped with 16” alloy wheels, engine stop/start, chrome front grille, LED daytime running lights, cruise control with speed limiter, CD/Radio/USB port, Bluetooth™, auto climate control, leather trimmed multi-function steering wheel, front centre armrest, luggage area cover, front & rear cupholders, driver & front passenger seat height adjustment, electric windows front & rear, removable double-level luggage compartment floor, front fog lights, electric mirrors (heated), ABS, EBD, ESP, hill hold assist, front passenger seat airbag deactivation, alarm, tyre pressure monitoring system, deadlocks, locking wheel bolts, ISOFIX x 2, remote central locking, and multiple airbags (including a driver’s knee airbag). 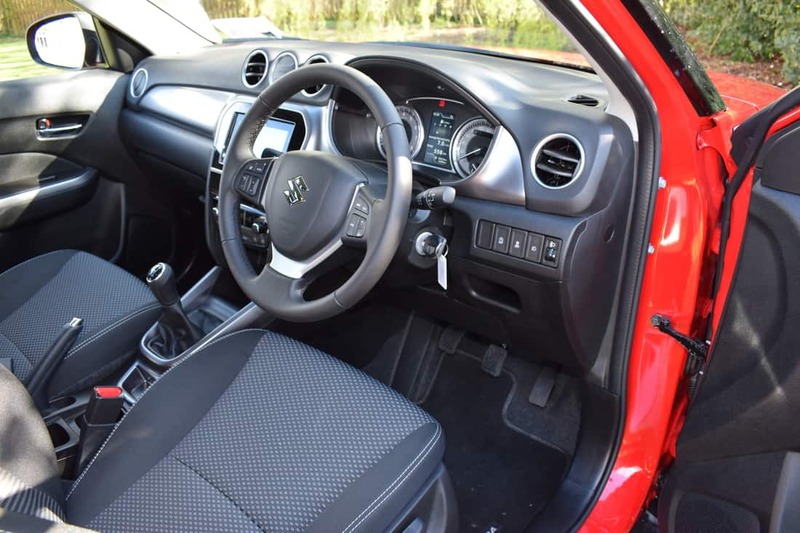 My test car was a Suzuki Vitara 1.0-litre Boosterjet SZ-T 2WD, fitted with a 5-speed manual gearbox and finished in Bright Red with a contrasting Cosmic Black Pearl metallic roof. 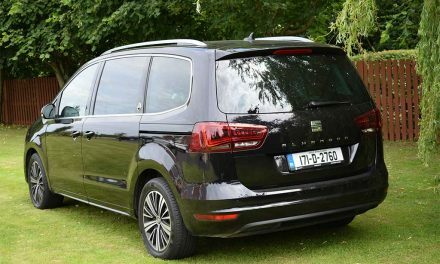 Over and above the SZ4 model specification, the mid-range SZ-T model benefits from rear privacy glass, rear camera, DAB radio, Smartphone linkage display, satellite navigation, roof rails, LED rear combination lamps, and 17” alloys with a painted finish. 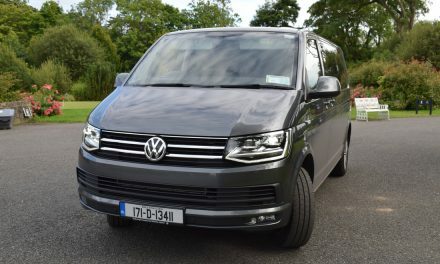 Upgrade to the range-topping SZ5 model, and the standard equipment tally also includes front & rear parking sensors, panoramic glass sunroof, lane departure warning, blind-spot detection, electric folding mirrors, dual sensor brake support, adaptive cruise control, and keyless entry & start. The sweet-revving 1.0-litre engine in my test car is capable of propelling the car from 0-100km/h in 12.5-seconds, on the way to a top speed of 180km/h (where permitted). Suzuki quote a NEDC fuel consumption figure of 5.1l/100km on an extra-urban driving cycle, which is very impressive indeed. Optional on the Vitara SZ5 model is Suzuki’s ALLGRIP system, which has four driver-selectable modes for safe, enjoyable driving on diverse surfaces. 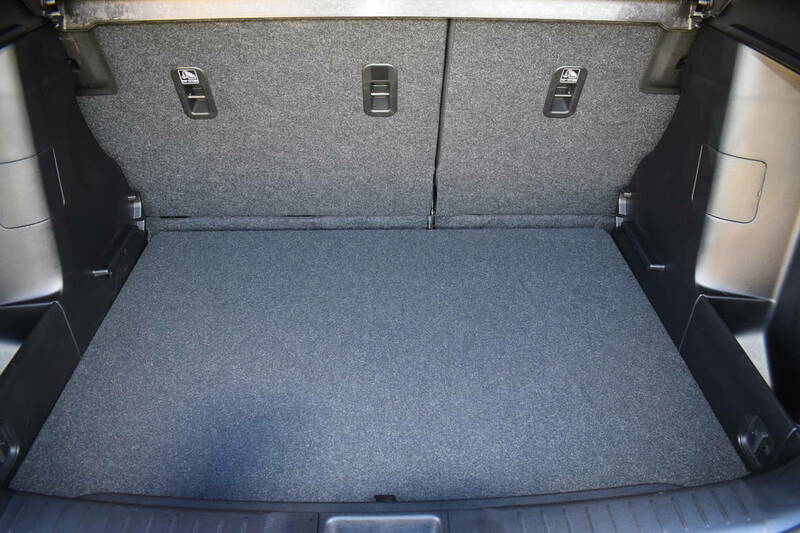 The system has a ‘feed forward function’ that allocates torque to the rear wheels before any slippage can occour. 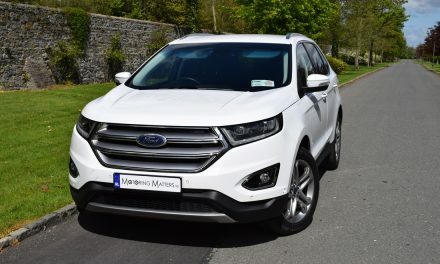 The four modes are auto, sport, snow and lock, and the system provides the reassurance of four-wheel-drive safety and stability, with the low running costs of a two-wheel-drive. With its strong SUV styling, the new Vitara has the bold good looks to stand out on the streets, and fit in on the toughest terrain. With powerful performance to match its rugged design, the new Vitara is built to excite and designed to thrill. 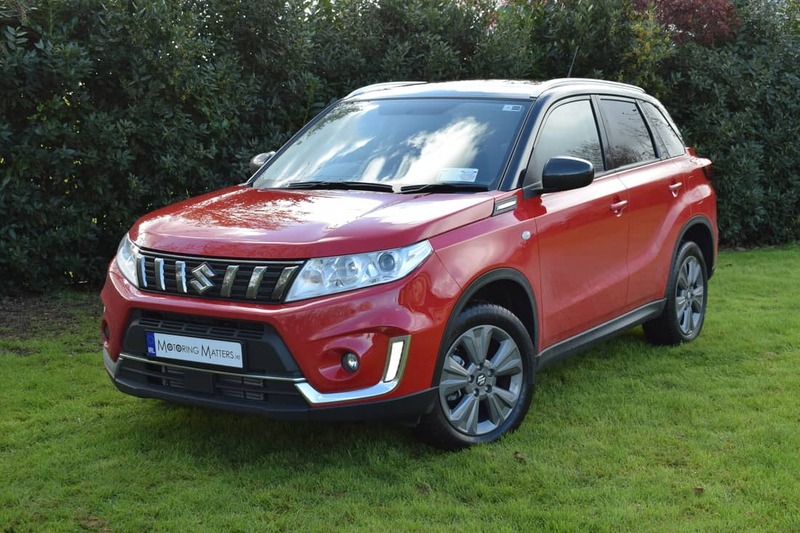 The new Suzuki Vitara is very competitively priced, with the SZ4 model priced from just €20,995, SZ-T priced from €22,995, and SZ5 available from €26,495 (all prices are quoted ex-delivery). The Vitara expresses Suzuki’s SUV styling heritage with its striking lines, and is destined to be yet another big-selling model for the iconic Japanese manufacturer. 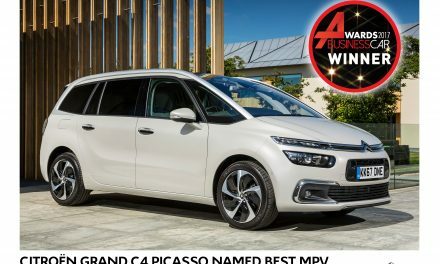 Visit www.suzuki.ie for further information. PreviousNew Honda CR-V 1.5-Litre (Petrol) VTEC Turbo ‘Lifestyle’ 2WD On Test.